Arrival on Sunday, August 26, at the Amway Grand Plaza Hotel in Grand Rapids, Michigan was the start of an exciting week for new Platinums. After working so hard to achieve their first major milestone in the Business, new Platinums are always bursting with energy and eager to learn more about building a successful, sustainable Business. 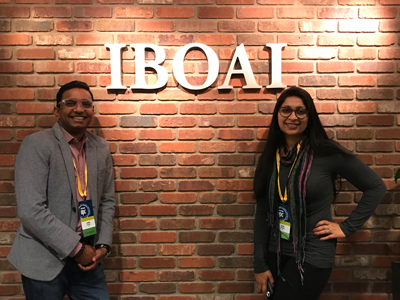 Following registration, the attendees were invited to tour the IBOAI office in the hotel’s adjoining office building. 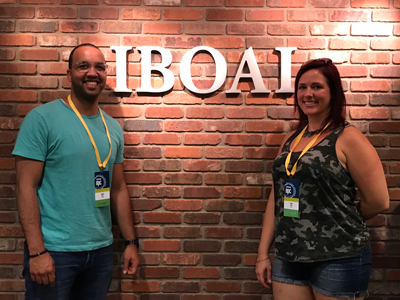 Throughout the afternoon, the new Platinums were guided through the IBOAI headquarters, while the IBOAI staff explained the origin, purpose, and structure of the Association. Staff also reminded the IBOs that as Platinums they were now eligible to vote in the upcoming IBOAI Board election. The sophisticated, professional appearance of the board rooms and office space prompted a variety of positive IBO comments. The most spacious meeting room, referred to as the American Way Association (AWA) Boardroom, is named after the original Association. Amway co-founders Rich DeVos and Jay Van Andel made it clear that the IBO was their first priority when they, along with Founding Field Leaders, formed the AWA in 1959, which many years later became known as the IBOAI. This room is frequently utilized by the entire Board, and regularly by the Legal & Ethics Committee. The table alone seats 22 people! The additional boardrooms, named after the Association’s Founding Families – Hansen, Victor, and Dutt – are also where current Board members, in partnership with Amway staff, initiate excellent ideas and come up with smart solutions for the Business. 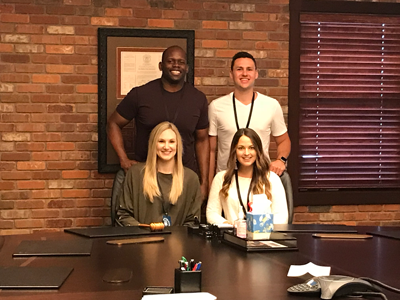 During the tour, IBOs learned the IBOAI Business Operations Committee gathers in the Hansen meeting room, the Marketing Advisory Committee (MAC) gathers in the Victor Boardroom, and the Awards & Recognition Committee in the Dutt meeting room. They also learned the three stars on the official IBOAI logo represent the three Founding Families. As new Platinums exited the IBOAI offices, they were given a goody bag packed with supplies for their busy week ahead – XS™ Energy Drink and Perfect Empowered Drinking Water® as well as Chapstick®, a tin of mints, a blank journal, and pen, all sporting the IBOAI logo. IBOs were also given the IBOAI Year in Review brochure. In addition, they left with some great memories and amazing photos to share with family, friends, and fellow IBOs.